Fingers crossed, right? He looks cold and crabby, lol! Whoa. 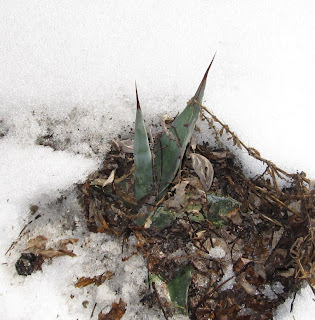 I didn't know there were agaves that could survive snow. I've got my fingers crossed that he makes all the way to spring!